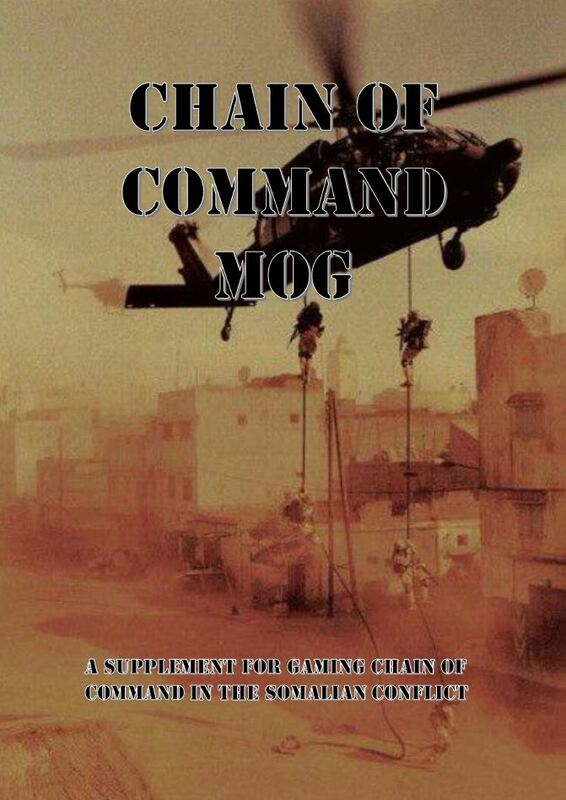 Jason Sendjirdjian, author of Chain of Command DMZ, has released a new supplement for gaming modern conflicts with Chain of Command, this time concentrating on the 1993 Battle of Mogadishu – Chain of Command MOG. This is a free 19-page PDF download which details some rules changes/additions in order to play the conflict and two force lists – US Rangers and Somali Militia. The Battle of Mogadishu (Black Hawk Down) is one of my key points of interest in modern gaming, and it would be interesting to see how this supplement compares in with the two previous rules/scenarios that we have seen for this conflict – Day of the Rangers for Force on Force and Maalinti Rangers from Skirmish Sangin. CoC MOG only contains a single scenario, so I will be dipping into these excellent supplements for more inspiration.